New Delhi: India on Monday has extended a credit line of $ 100 million to Rwanda for strengthening agriculture sector. Both countries have signed an MoU on agricultural research during Prime Minister Narendra Modi’s two days visit to the African nation. To further strengthen bilateral cooperation, after a one to one talk with President Paul Kagame, the Indian Prime Minister announced that India would soon open its mission in Rwanda. He noted that India and Rwanda relationships have stood the test of time. 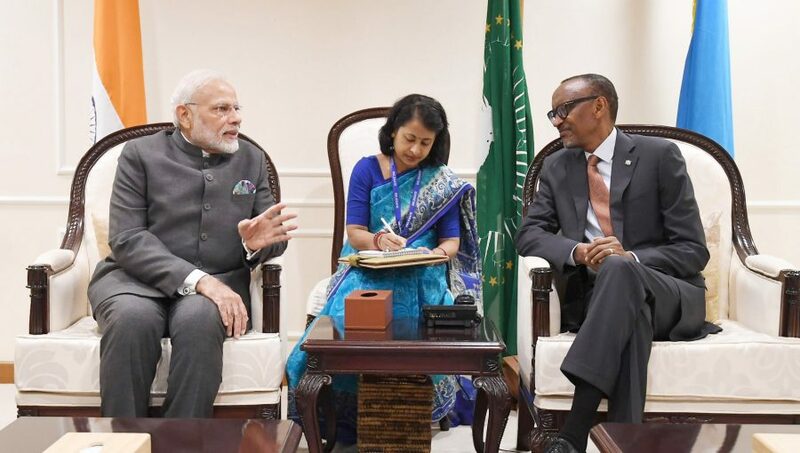 It is a matter of honour for us that India has stood with Rwanda in their economic development journey, Mr. Modi said, adding that India will be continue to back Rwanda’s development.